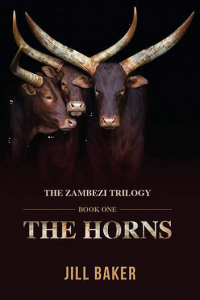 The Horns is a deeply personal account of being born into what was first Southern Rhodesia, then Rhodesia and now Zimbabwe. Jill Baker grew up as a white child whose best playmates, until she went to school, were three black children. The paths each of their lives took could not have been more divergent. The Horns is founded on careful historical research into the valuable, but scarce, generational Matebele and Mashona oral histories; the vastly differing and biased accounts from early missionaries, pioneers, hunters, miners and traders; and records from the British South Africa Company, as well as government and parliamentary archives. The historical skeleton holds this story firmly in place. What is fictional is for the author to know – and for you the reader to guess. The Horns is presented as storytelling – oral storytelling – as practised in the passing on of oral history in African culture, sometimes indulging in the nostalgic prose of cherished memories, sometimes in the practical narration of the observations of young children making mud cattle, the terror of a teenager in acute distress, or the wise words of experience and learning from an older generation. Jill Baker has had a long career as a journalist, news and documentary presenter and producer in radio and television. After moving to Australia in 1983, Jill managed a radio station in Adelaide for five years, before opening her own business in consultancy to the tourism industry. Jill was awarded the Order of Australia Medal in 2005 for her role in the formation of The Zimbabwe Connection, helping Zimbabweans who were trying to relocate and settle in Australia.